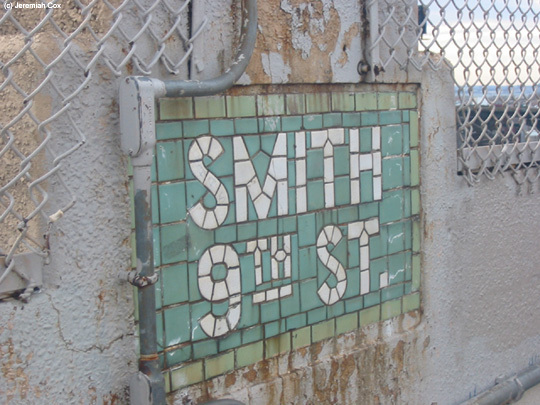 Smith-9th Streets is the highest station on the entire subway system and the MTA claims the world at 80 feet above street level, located high up on a bridge over the Gowanus Canal; this subway station gets an A for having the best view of the waterfront and Manhattan skyline. Entering the station from street level on the north side of 9th Street just before its own vertical lift bridge across the Canal you go through fare control (on street level) and up two long escalators. There is a right angle curve in the middle. The escalators are completely enclosed meaning that the view can't get better and better as you go up. There is evidence though of windows at one time, but these squares have been boarded up. At the top is a small mezzanine where twin staircases lead to the platforms at the eastern most end. 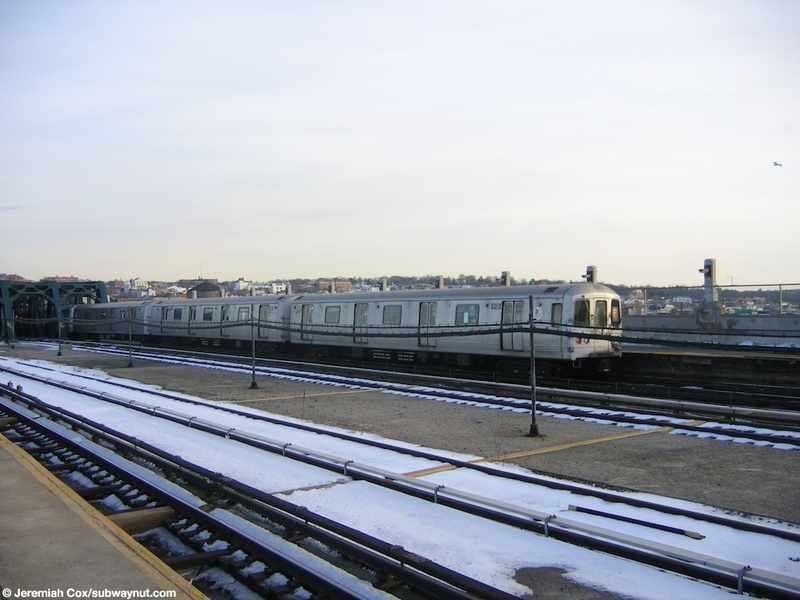 It is one of two IND stations that are elevated (not including the World's Fair Line), the other station is the next stop east, 4 Avenue, this means it is completely different then all other elevated stations. 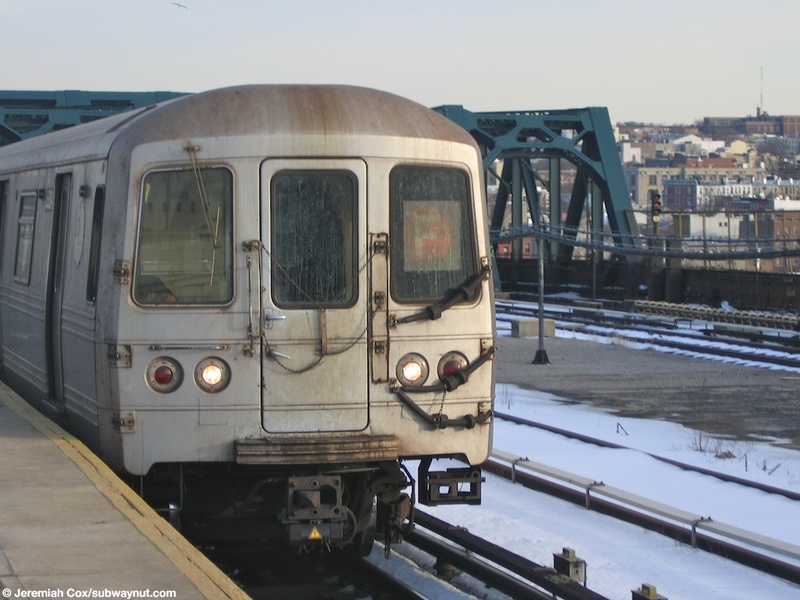 The large elevated super structure is made out of concrete and is literally falling apart, weathering away, that is why there are what look like black sheaths covering a portion of the platform's canopy. 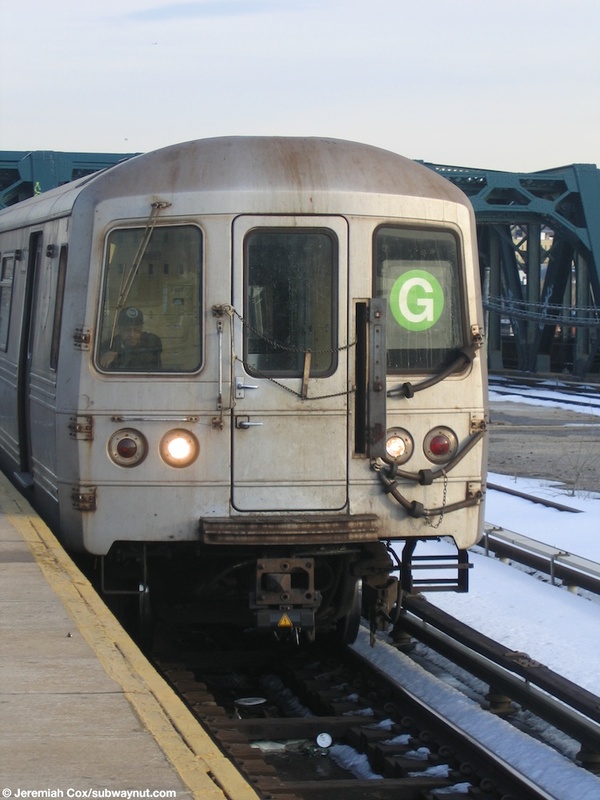 The station was the terminus of the G train before the Culver Viaduct Restoration Project began that first started with the closure of the express tracks that G trains used terminating in the middle of the 4th Avenue Station. 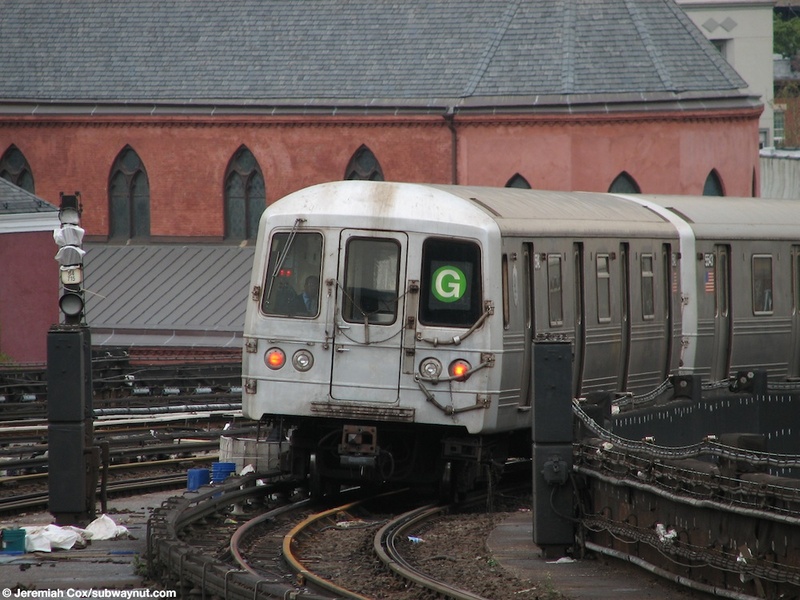 This required the G train's extension to Church Avenue effective July 5, 2009. It last was regularly scheduled to run to Church Avenue in 1976. 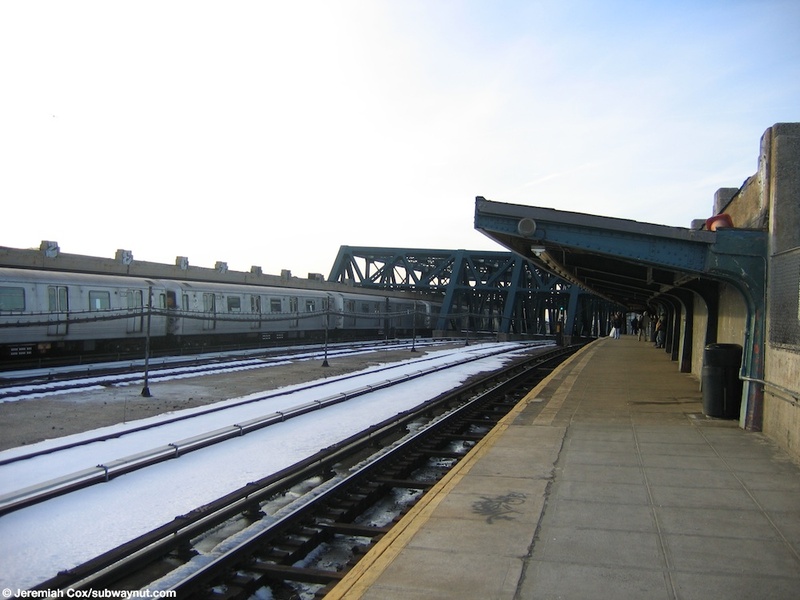 Originally the extension was supposed to be temperary and only for five years during the duration of construction, community pressure and high ridership led to the extension becoming perminate so Smith-9th Street isn't scheduled to become a terminus again. Station Closure and Rebuilding: Under the Culver Viaduct Restoration Project Smith 9th Street was closed to Manhattan-bound F trains in January 2011, with G trains accessed via a temperary paltform that fits only its 4 cars, with all trains stopping at the Manhattan-bound Express Track. 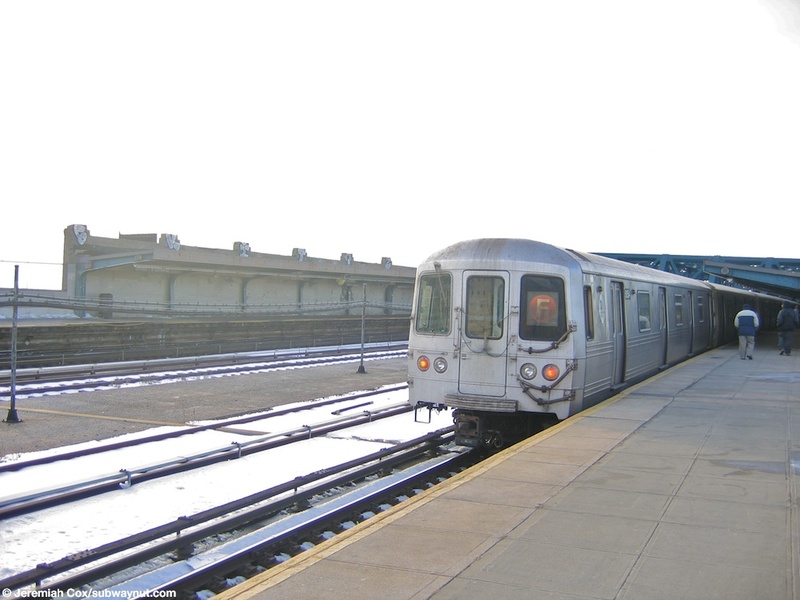 The station was then fully closed for a complete rebuilding in a project that took close to two years on June 20, 2011, it finally reopened on April 26, 2013, a year late. 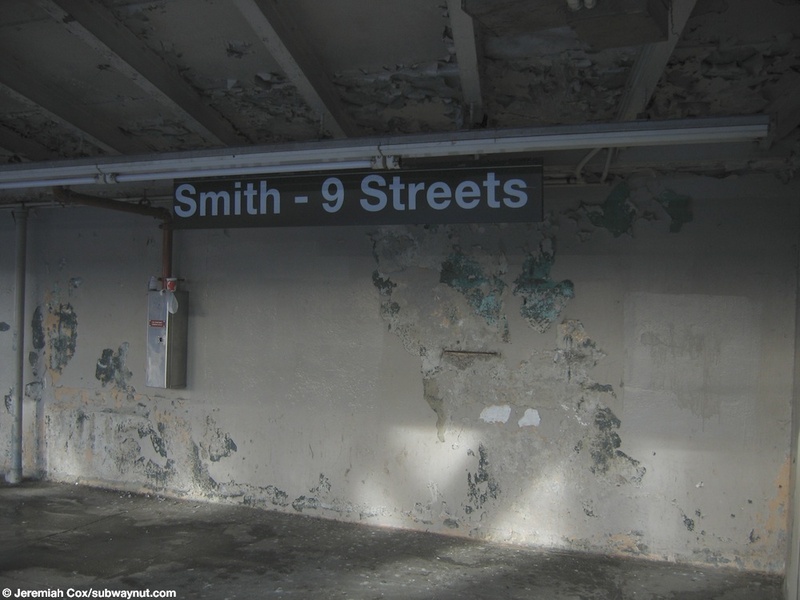 (smith_9f1) One of the green Smith-9th Streets name tablets set into the wall of the platform during its exposed portion beneath a lamppost. 30 December, 2003 (smith_9f2) The walls of platforms have lots of chipped paint, notice how the canopy ceiling is wooden, all at Smith-9th Streets. 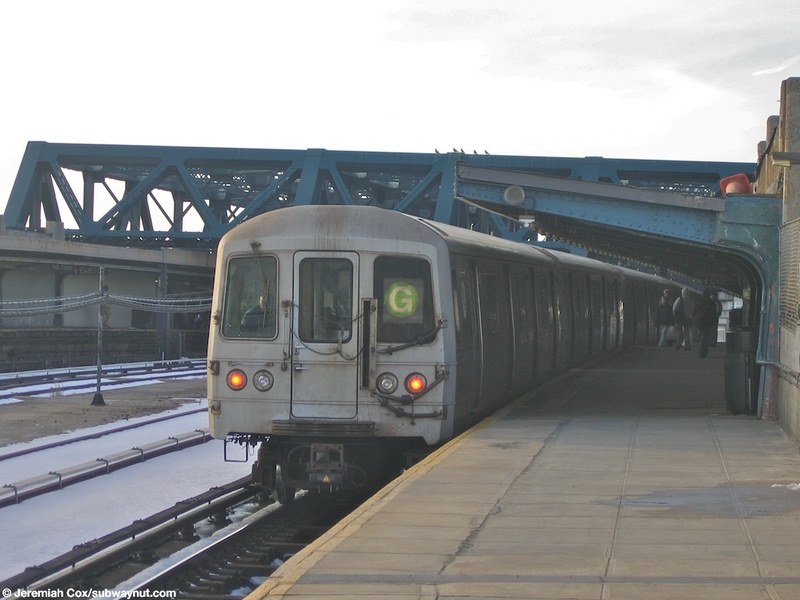 4 March, 2005 (smith_9f3) R46 #6120 and a Coney Island-bound F train leave Smith-9th Streets. 4 March, 2005 (smith_9f4) Another view down one of the side platform at Smith-9th Streets. 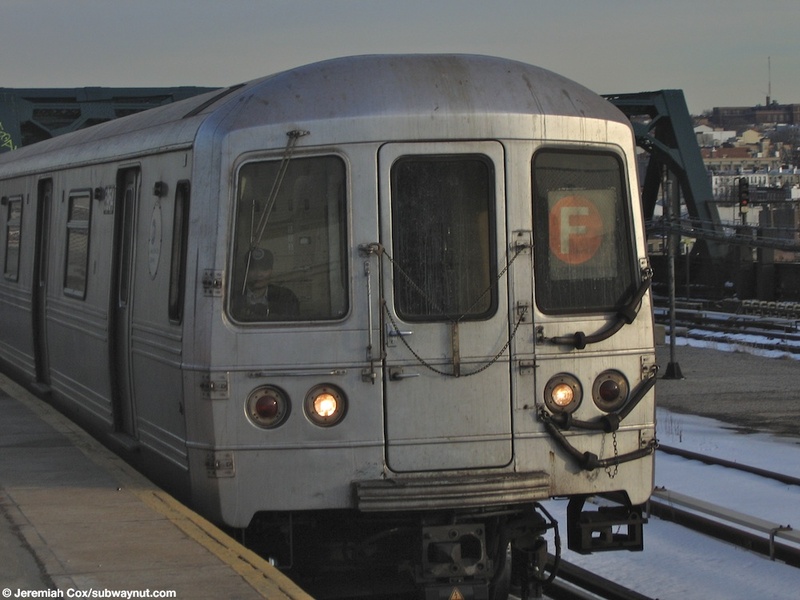 (smith_9f5) A Manhattan-bound F train enters Smith 9th Streets. 4 March, 2005 (smith_9f6) R46 #5304 enters Smith-9th Streets with snow on the grounds. 4 March, 2005 (smith_9f7) R46 #6154 and a Manhattan-bound F train begin to leave Smith-9th Streets. 4 March, 2005 (smith_9f8) A R46 G train is about to enter Smith-9th Streets to reenter service for Court square. 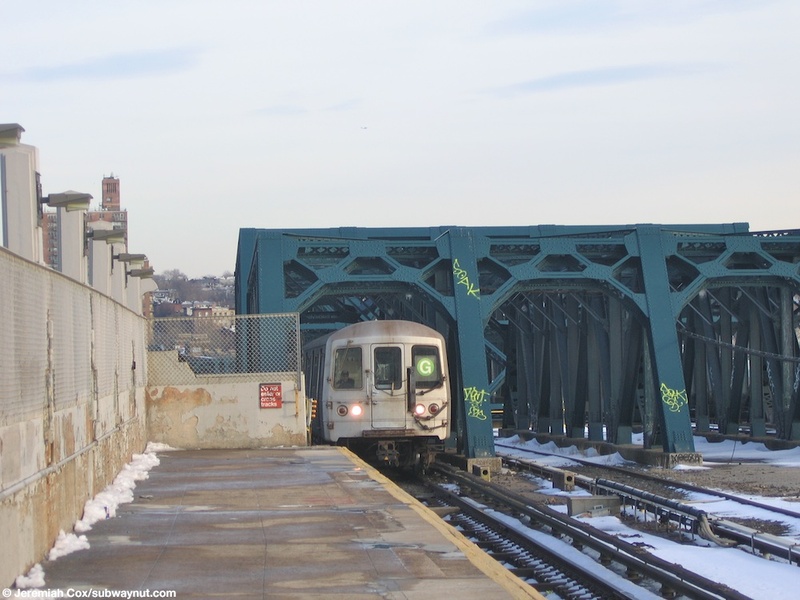 (smith_9f9) A R46 G train continues to Smith-9th Streets. 4 March, 2005 (smith_9f10) A four car R46 G train stops at Smith-9th Streets to pick up its first passengers as it reenters service at Smith-9th Streets bound for Court Square. 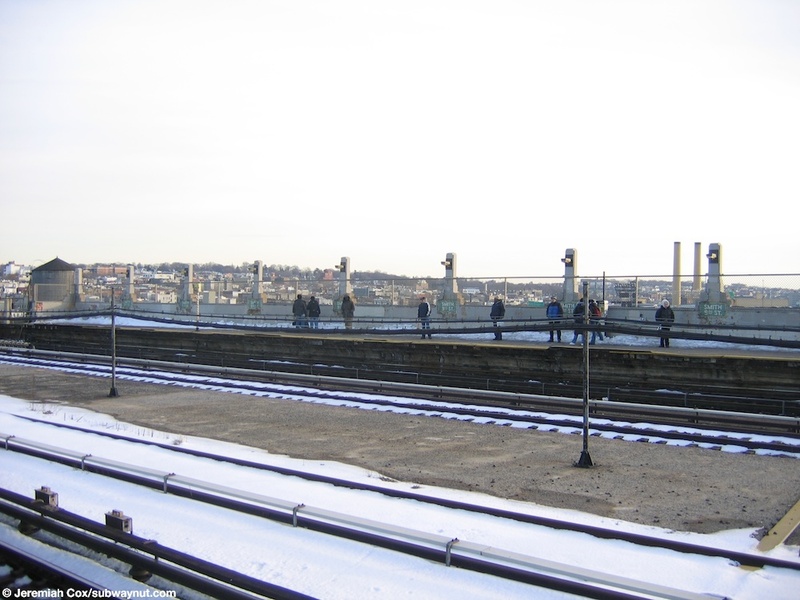 4 March, 2005 (smith_9f11) Passengers wait for a Coney Island-bound F train, with the skyline of South Brooklyn in the background. 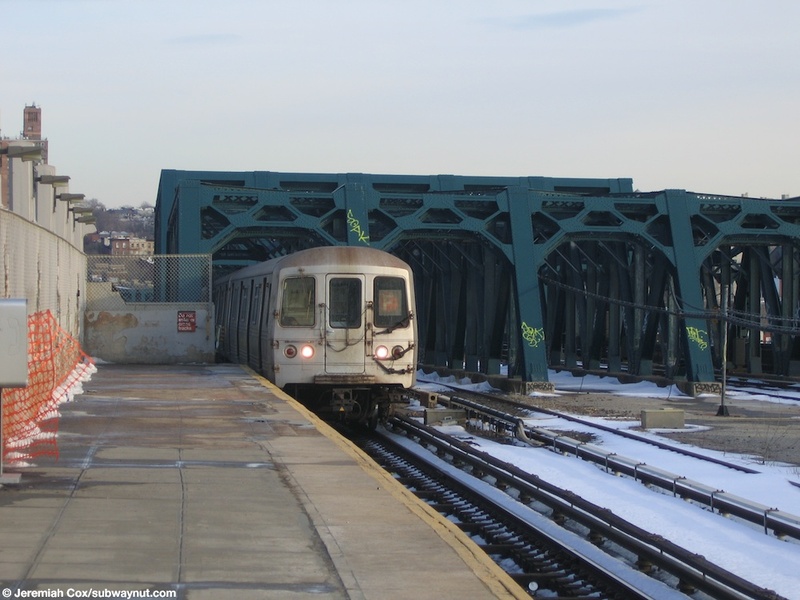 4 March, 2005 (smith_9f12) R46 #5954 begins to enter Smith-9th Streets leading a Manhattan-bound F train. 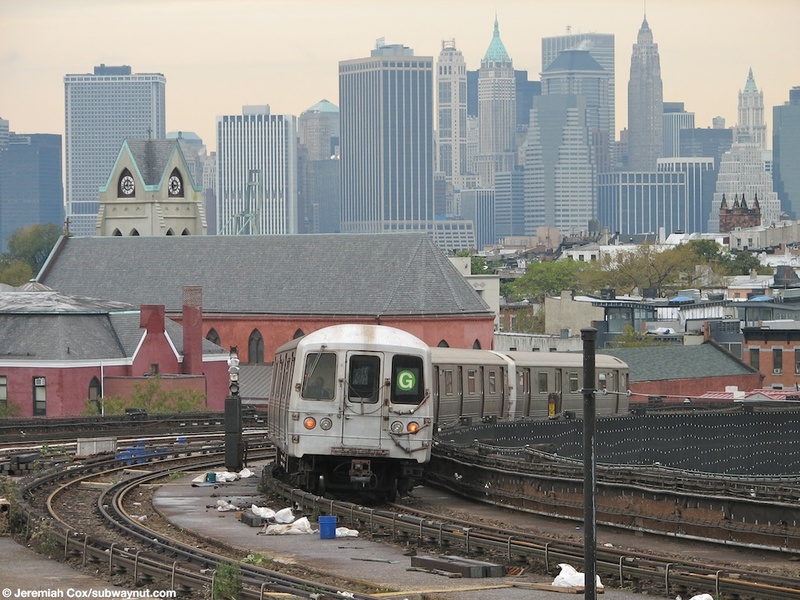 (smith_9f13) A Manhattan-bound F train curves out of Smith-9th Streets with the Manhattan skyline in the background. 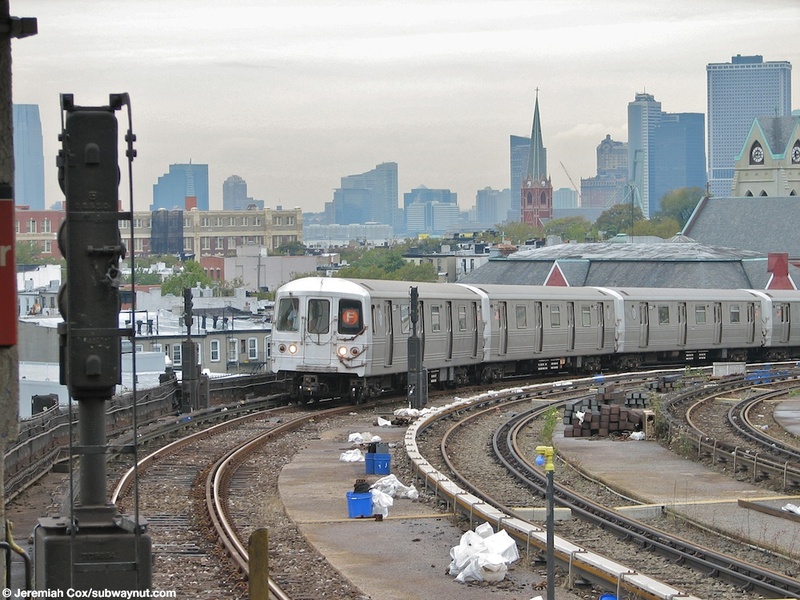 21 October, 2005 (smith_9f14) A four car R46 G train curves out of Smith-9th Streets with the full Manhattan skyline in the background. 21 October, 2005 (smith_9f15) A close up of R46 #5542, the last car of a G train curving out of Smith-9th Streets. 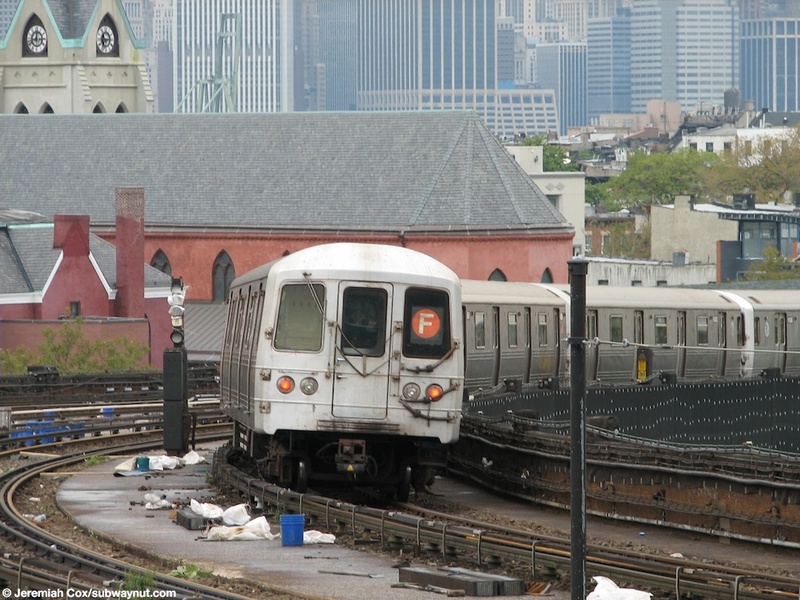 21 October, 2005 (smith_9f16) A Coney Island-bound F train of R46s approaches Smith-9th Street to enter it, the Lower Manhattan and Jersey City skylines are the backdrop.